Alta Thayer (Goff) Foster, 91, of Gray, passed away peacefully on November 14 surrounded by family at her lifelong home. Alta was born in Portland, Maine, to Willis Melvin and Ruth Perley (Thayer) Goff on February 6, 1927. She spent her life in Gray, graduating from Pennell Institute in 1945. During junior high and high school, Alta worked as a switchboard operator for Pine Tree Telephone and Telegraph in the towns of Gray and New Gloucester. On April 19, 1946, Alta married Edgar Foster. They had two children, James Willis and Merritt Timothy. Early in their marriage, they frequently enjoyed snowmobiling and hunting. Together they began the family tradition of camping each year at the Fryeburg Fair, which the family continues to this day. Throughout the years, they opened their home to many children including Nancy Chandler, Bob Berube, and Martha Boutwell. Other children from the Dry Mills neighborhood also frequented the homestead. 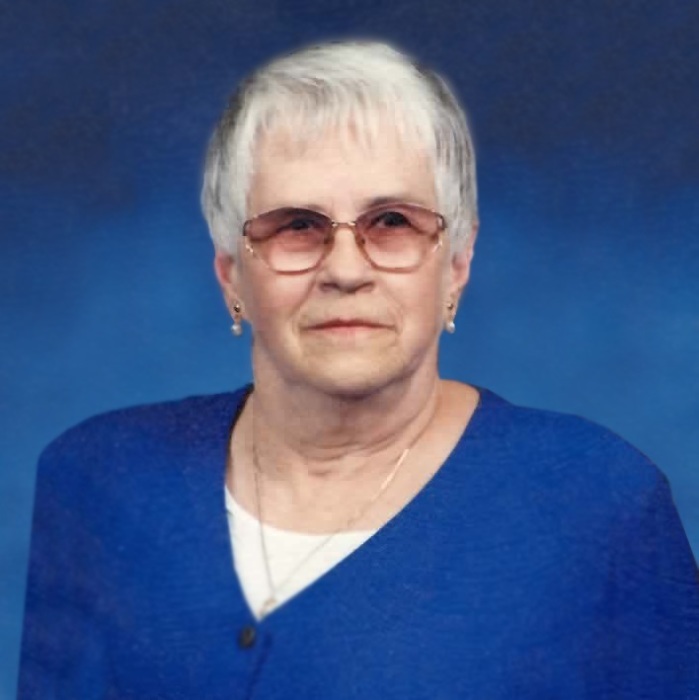 Alta was a welcoming and loving mother, foster mother, grandmother, and friend. She loved to drive and was always willing to transport folks to and from work and activities. Alta worked at many places including Maine National Bank, Casco Bank and Trust, and Cole Farms Restaurant. She was active in several organizations including Eastern Star, Grange, Gray Fire Department Auxiliary, and the American Relief Core. Later in life, some of her favorite activities included dancing, listening to country music, attending Masonic events, and taking bus trips including to Nashville, Tennessee. Alta always loved dolls and crafting. She greatly enjoyed many beautiful summers at her camp on Little Sebago Lake neighboring her cousin and close friend, Muriel (Sis) Gade. Alta is preceded in death by her husband, Edgar; her parents, Willis and Ruth; and her longtime companion James Maxwell. She is survived by her sons, James Foster and Merritt Foster with wife Pamela, both of Gray, Maine; grandchildren, Lindsay Strattard and Samantha Hodgkins with husband Daniel; step-grandchildren, Mark Napolitano with wife Melissa, and Jennifer Lohnes with husband Scott; great-grandchildren, Alex, Callie, Brice and Aylana Strattard, Will and Noah Hodgkins, and Tyler and Nadia Napolitano; her longtime friend and companion, Clifford Purinton; and many other dear friends. The family would like to thank Jeanne Meuse for caring for Alta for the last 13 years, the Visiting Nurse Association, especially Judy and Kim, and all the home hospice caregivers. They are also eternally grateful for Clifford Purinton, who brought Alta so much joy and comfort during the last 11 years of her life. A graveside service will be held at the Gray Village Cemetery in the spring. Arrangements are by Wilson Funeral Home. In lieu of flowers, please donate to the Dry Mills Schoolhouse Museum online or by writing a check to the Town of Gray with a memo line notation “Dry Mills Schoolhouse” mailed to the Town Office, c/o Katy Jewell, 24 Main Street, Gray, ME 04039.